Chasing Our Tails is a New Hampshire based company producing premium, natural products for your pets. Green Acres Kennel Shop has carried a variety of smoked bones over the years, and this is the best product we have found. 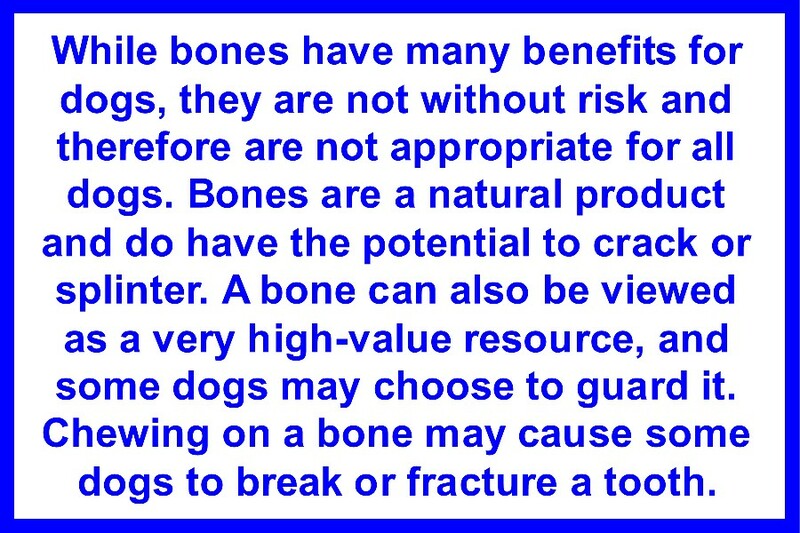 The smoked bones from Chasing Our Tails are hardwood smoked at 145 degrees with their proven process that kills bacteria but does not compromise the integrity of the bone. 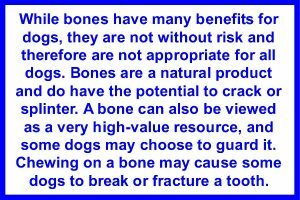 Bones are a natural product, and everyone has the potential to splinter or crack; however, we have found the Chasing Our Tails bones to be very durable. 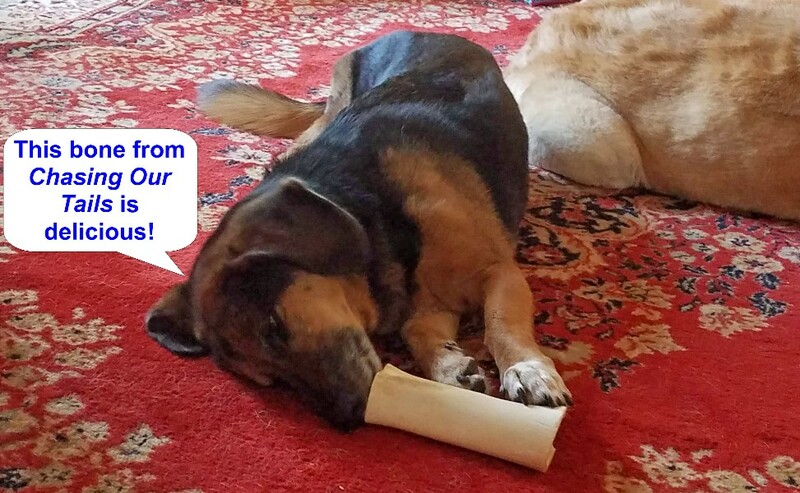 Because Chasing Our Tails uses the ancient French technique of charcuterie to prepare these bones, the marrow does not melt out, making them more desirable to our dogs and less messy than some other products. 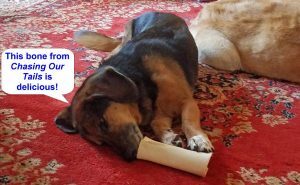 Chasing Our Tails smoked bones are sourced and prepared in the USA without the use of formaldehyde, mold inhibitors or preservatives. They are available in a wide variety of sizes. 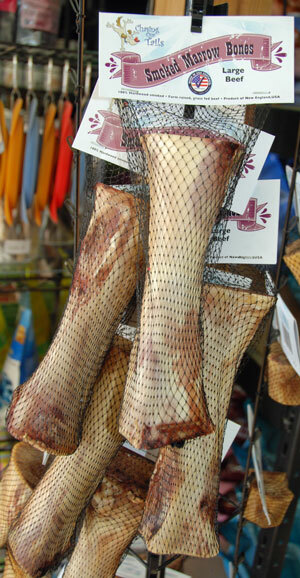 These smoked marrow bones can be great for keeping your dog busy. The photo above is of Kate’s dog Cinder on Christmas day when all three dogs were given Chasing Our Tails bones to occupy them while the family ate Christmas dinner. 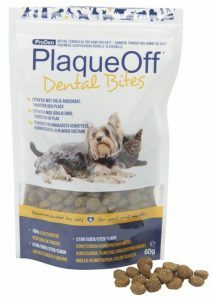 Bones can also be helpful in keeping your dog’s teeth clean and in preventing periodontal disease. 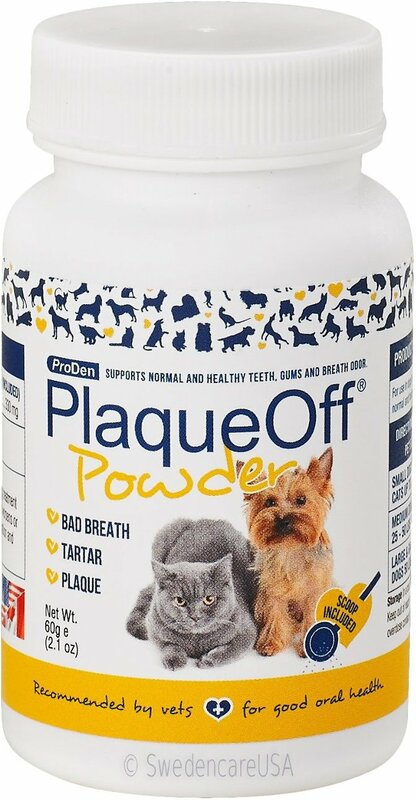 Your pet’s dental health is a very serious issue. According to the American Veterinary Medical Association (AVMA), periodontal disease is the most commonly diagnosed health concern in dogs and cats. 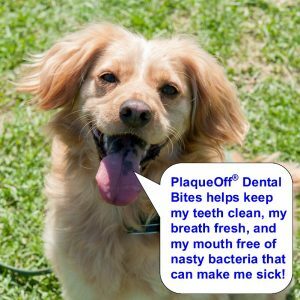 Periodontal disease is a chronic infection, and it has been linked to; Diabetes, Heart attacks, Strokes, Kidney disease, Tooth loss, and other life-threatening disorders. 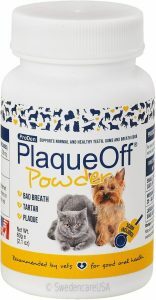 Bones can be helpful in keeping your dog’s teeth clean.